Dr. Caravella retired in 2013. Dr. Caravella is a Board Certified ophthalmologist who has practiced in the Cleveland area for over twenty years. He received his medical degree from St. Louis University and completed his residency at Ohio State University. 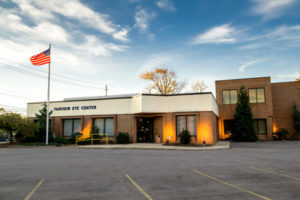 In 1979, Dr. Caravella established Fairview and Lakewood Eye Centers, dedicating the Centers’ practice to the highest quality of eye care, including the latest techniques in the medical, laser, and surgical treatment of eye disease. Throughout his career Dr. Caravella has been active in promoting patient centered high quality eye care. As an Assistant Clinical Professor of Ophthalmology at Case Western Reserve University he has been teaching new doctors the latest techniques in eye surgery including Refractive Surgery (LASIK) and Excimer Laser. He is a well-respected clinician who has served as the Chief of Staff at Fairview Hospital as well as the Chief of the Department of Ophthalmology at Fairview. 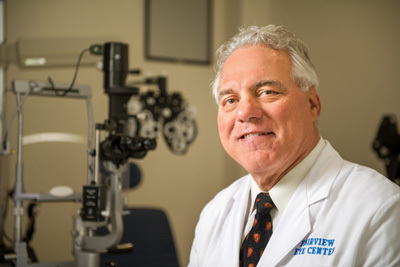 He is a member of the Board of Directors of the Cleveland Eye Bank as well as the Advisory Board of the Cleveland Sight Center and is past president of the Cleveland Ophthalmology Society. In September 2003, he became one of the first physicians in Ohio to be certified for the Intraocular Contact Lens. Dr. Caravella’s first love remains patient care with an emphasis on Intraocular, Oculoplastic, and Custom Refractive Surgeries.